Herald Joinery are based in Haddenham, a village near Aylesbury in Buckinghamshire, with much of our work carried out in London and the Home Counties. 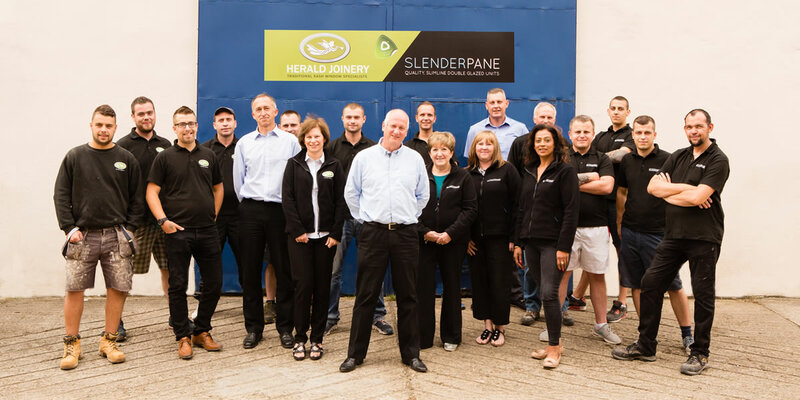 Herald Joinery was set up in 2006 to supply and install the best quality bespoke sash and casement windows using the high quality slim glass units from its sister company, Slenderpane. The company has extensive experience in the design and manufacture of box sash windows and casement windows, and we will also make doors, and will look at all jobs within a given project. We have over 20 years of experience which has resulted in the production of a top end traditional wooden sash and casement windows. Our experienced team of in-house joiners produce handcrafted, bespoke, traditional sash windows to suit your requirements. We strongly believe that every effort should be made to provide you with premium quality traditional box sash windows of a style that will match any existing and preserve the period character and ‘feel’ of your home. We pride ourselves on the personal service we offer, from the initial free sales survey and quotation through to delivery and, where required, final installation. 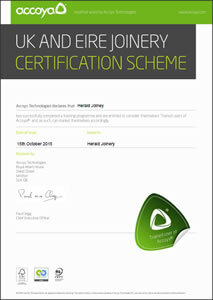 All enquiries whether via the website, email or telephone are acknowledged within 24 hours. We feel confident that you will find our quotation excellent value for a superior quality window. When you place your order we will contact you to arrange a manufacturing survey and give a projected delivery and installation date for your sash windows. So confident are we in the properties of Accoya that our sash windows are guaranteed for 50 years against rot and fungal attack.